At the foot of Mount Kanchenjunga in the Himalayas, lives an embittered old judge who wants nothing more than to retire in peace. But this is far from easy with the arrival of his orphaned granddaughter Sai, come to live with him and his chatty cook. Biju, the cook's son, is trying to make his way in the US, flitting between a succession of grubby kitchen jobs to stay one step ahead of the immigration services. From the author of the prize-winning title The White Tiger comes a compelling and entertaining coming-of-age story. Manjunath Kumar is 14. He knows he is good at cricket - if not as good as his elder brother, Radha. He knows that he fears and resents his domineering and cricket-obsessed father, admires his brilliantly talented sibling and is fascinated by the world of CSI and by curious and interesting scientific facts. But there are many things, about himself and about the world, that he doesn't know. British Book Awards, Author of the Year, 2009. Man Booker Prize, Fiction, 2008. 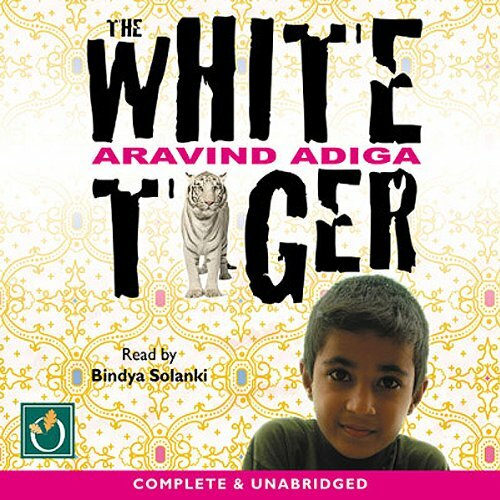 Balram Halwai is the White Tiger - the smartest boy in his village. Too poor to finish school, he has to work in a teashop until the day a rich man hires him as a chauffeur, and takes him to live in Delhi. The city is a revelation. Balram becomes aware of immense wealth all around him, and realizes the only way he can become part of it is by murdering his master. The White Tiger presents a raw and unromanticized India, both thrilling and shocking. Superb story, very poor narration. It's a superb story, very engagingly written by the author. But the narrator was a huge disappointment. No, I should actually say, she was an irritant. 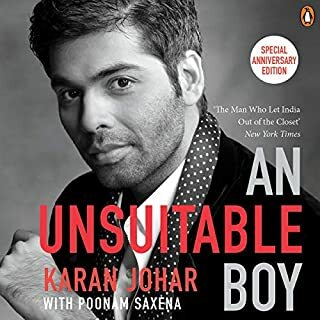 How could Audible choose a person who couldn't pronounce the most basic of Indian names and Indian language words to read this book? Just because the person has an Indian name doesn't mean they can read Indian names and Indian language words. Loved the way Balram Halwai is narrated his story with tinge of mordant sense of humour while addressing the realities of modern India. Even after you finish the book, you still wonder about the characters. Very engaging storytelling. Relatable story. the voice was perfect otherwise but sometimes it was too flat. finished the book real quick. 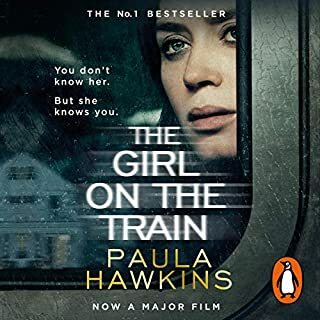 The narrator could have made the audiobook so much more engaging, if she would have know ho to pronounce certain local dialects correctly. Brilliant, witty, bleak, but incisive perspective of contemporary India's caste system. The narrator is a unique character. Highly recommended. The narrator is fabulous - I became totally involved in the story. This is a Booker Prize winner. It must have been a very slow year! Books out of India seem to be all the rage amongst the English intelligensia that choose competition winners. This book doesn't make the cut. 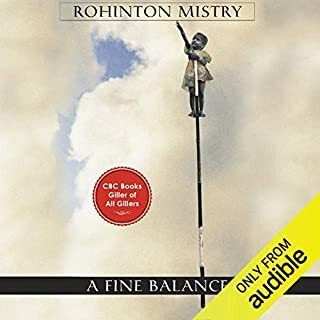 For something really good in this genre try " A Fine Balance " by Rohinton Mistry. It didn't win the Booker, but should have!!! 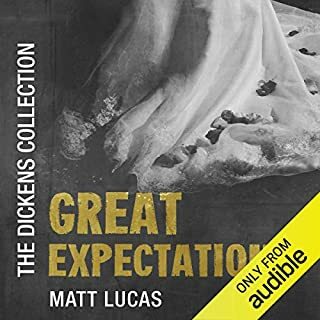 The story is captivating, while the Narrator's tyle and personifaction of character kept me a nice tempo in the audiobook. Refreshing and sarcastic look over Indian success story, with pinch of salt. loved the gut wrenching style of the author. the plot was good except for the final chapter which seemed a bit vague. the Indian accent narration makes no sense though. rural Indians don't speak in English among themselves. so narrating with an Indian accent doesn't make this 'realistic' in any manner. it would, if say this was about an Indian American character in the USA. so interesting, kept me going. Felt so real, wonxer if yhis is the reality in the "darkness". The narrator did a good job. The author is brilliant. 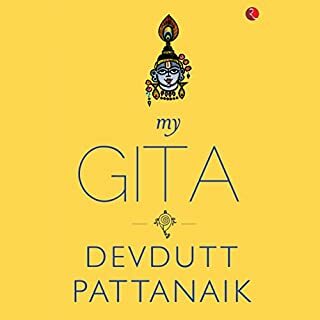 I cannot compare it to any other book - its a unique , creative and insightful commentary on Indian society and culture. Probably not, too many other things to listen to! Badram, the main character was my favourite. He had such a great tone and way of narrating. What about Bindya Solanki’s performance did you like? 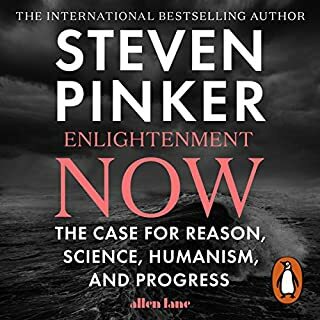 There have been so many stellar reviews, a Booker and nearly everyone I know who's read this book highly recommend it. I guess I just missed out. It didn't grab me at all. I kept thinking that it was pretending to be Rushdie and missing the mark. The last Chapter was the high point (as it should be), but it just wasn't very high. I found the plot pedestrian and, appreciating that it's about the seedy side of the lines, there was no magic in the words. It's always hard to write in the first person. One runs the risk of not developing the other characters. I think the risk was realised this time. I can't now recall any character that appealled to me. As for the performance, I regret to say it just doesn't work. First, there is the problem that the narrator sounds like a young female, whereas the content is meant to be from a middling aged man. Secondly, the English accent is just disconcerting. 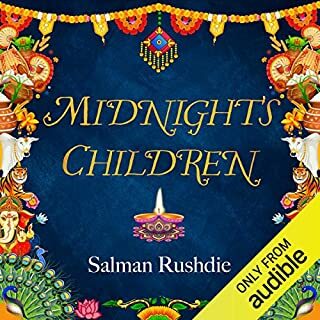 Even allowing that Ms Solanki has the cultural background and does an ok job with the Indian accents, the majority of the book is first person narrative, and she just couldn't bridge the credibility gap. I spent a lot of time wandering off (because the text wasn't holding me) thinking about how Lyndam Gregory might have brought this to life, as he did Midnight's Children. A better narrator for THIS book may have made a world of difference. Thirdly, I found the narration annoying because it paused in unusual spots. This must have been the reader's interpretation, because the text (which was available to me) didn't read to me the way it was read to me. Maybe I just expected too much, but this just didn't deliver on all levels. Wow! What a spectacular journey. What made the experience of listening to The White Tiger the most enjoyable? The narrator was outstanding. I loved the first person narrative. The story was engaging and eventually, uplifting. Bahram (Muna) was my favourite character. He saw beyond the squalor of his life and was able to see what was possible for him. What does Bindya Solanki bring to the story that you wouldn’t experience if you just read the book? Her voice was so well suited to this narrative. I loved her accent and I thought she did all the various characters very well. This is a must read. I am glad it was recommended to me by a friend. Don't get me wrong, I loved "God of Small Things" and enjoyed "A Suitable Boy" and still think "Shame" is Rushdie's finest novel, but Adiga's "White Tiger" explores a very different India. No elaborate weddings, no saris and spices, no arranged marriages - this is the India of the economic miracle of the 'Electronic City' that is Bangalore, of self-appointed 'entrepreneurs' like Balram Halwai who have come from "the Darkness" of small villages and are eager for wealth and status. 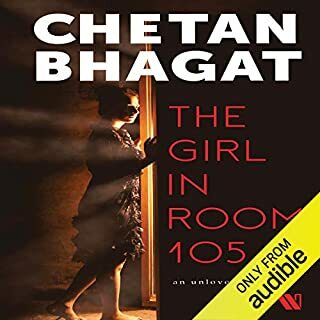 I am struggling to finish listening to this book as the reader is so poor. I find her delivery deeply irritating. It sounds like she has never read an audio book before and that there is no direction. Her monotone voice makes the production seem amateur. It is such a shame. I think I will have to read the book this time. 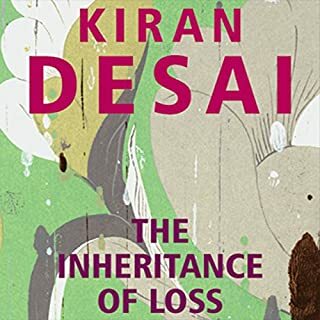 This is an interesting novel and well worth listening to, but I found as it went on that I was feeling more and more depressed about people in general, the Indian subcontinent in particular and the effect of global capitalism on us all. 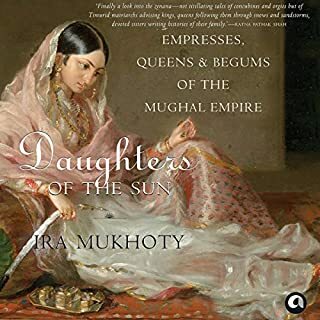 It is very well written, often amusing, often dark and a stark portrayal of old feudal India and modern urban India, both portrayed as lacking in morality and ruled by ignorance, manipulation, cunning and corruption. The few lines of hopeful optimism at the end do not outweigh the heaviness and cynicism created by the book as a whole and I was glad it was relatively short. The reader makes a few mistakes but reads it very well. But why a woman reading when this is very much the story of a man and delivered in the first person? I had high hopes for this book. I love India and have travelled there a lot, I also love to read about it. My brother recommended this book so I was keen to try it. After the first 2 chapters I wasn't sure but thought I would stick with it, However, I was ultimately a bit disappointed. The reader didn't really help to enthuse me. Didn't like the main character too much and the pace was slow. The story had potential but didn't really do it for me. It was just ok. The book probably deserves three for the story line. But the narration was so awful, I wouldn't recommend the audiobook. I think it was reasonable to have a female voice narrating for a boy. But the accent was overdone, often similar across characters and, conversation was often mixed up with prose. The main character isn't plausible. The only way to make the story work is to make the assumption that much of what is going on in his head to explain his behaviour is untold. Moreover very little in the story told allows any inferences to be made. It's an account of events which seems to promise more, but doesn't deliver. This book is just wonderful. 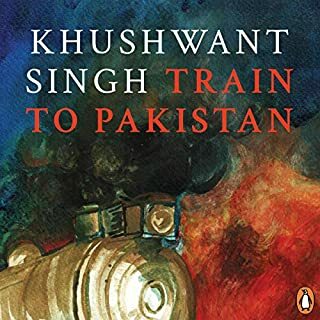 I was transported to a modern and fascinating, if often brutal and ruthless India. 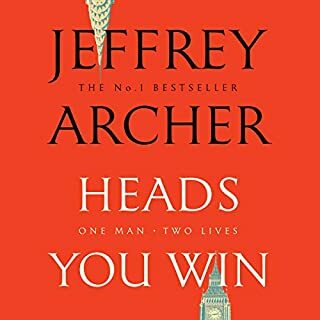 I loved the main character in all his guises, and I was rooting for him throughout the book, even though at times I did cringe, I did understand where he was coming from. 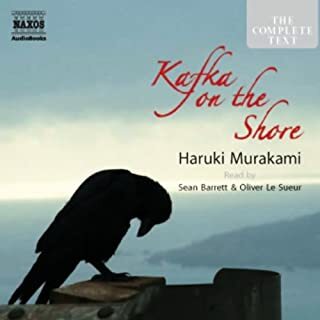 The narrator delivers the story with perfect pitch and tone and a voice totally suited to the character. I could not stop listening till I had heard the whole story. I lost a weekend in blissful tense, often harrowing drama which brought an all too realistic view of India which I had previously romanticised from lovely holiday experinces. I love the place, but I have a whole new understanding now. A fantastic book. Buy it!!!! A gripping story offering insights into the underbelly of Indian culture. However, the effect is dimished by the reader who sounds very much like she is reading the story for the first time, complete with incorrect pauses and mispronunciations. A magnificent tale, beginning in 'the darkness', deep interior India which provides the servants to the middle classes of Guragaon. 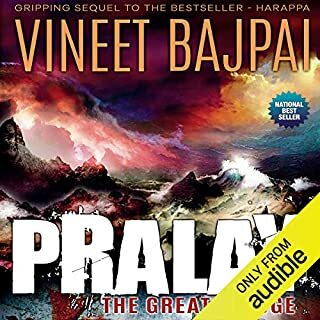 The journey of the White Tiger is wonderfully vivid, from the coal fields of Bihar to the fairy-tale towers of Gurgaon, and on to twenty-first century Bangalore, each location drawn with brilliant and cruel accuracy, and each character with its real-life parallels. I'm not sure I'd give this to my friends whose lives are reflected here, the depictions of place and person are so close to the bone! Aravind Adiga does justice to the wonderful complexity of India. 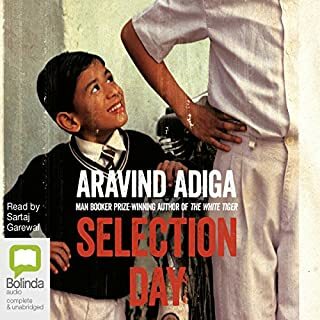 In common with the other reviewers I was hooked by the picture painted of India by Aravind Adiga who, by virtue of his Indian nationality but international career, seems particularly well qualified to paint it. 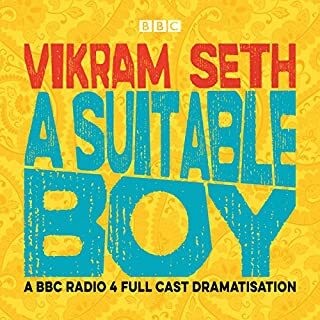 The choice of Bindya Solanki to read it is an interesting one - why a woman, when the main character is an adult male for much of the book? 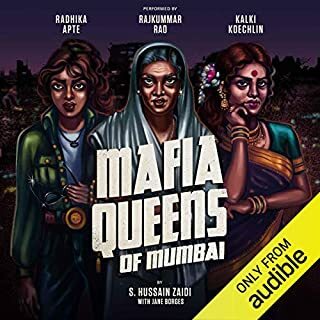 That said, Bindya Solanki produces a good range of voices and accents which in themselves are a source of pleasure to listen to; but she also makes a number of misinterpretations of the meaning, in fact small mistakes which one would have expected to be edited and corrected in a recording of this price. Well worth getting as a Member's Credit purchase, not worth paying full price. I found the narration lovely it added to this complex story. The undercurrent of the book comes across vividly. 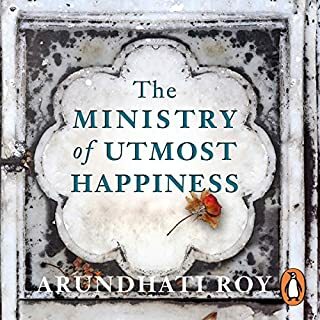 It's written candidly and has much poetic pose, the author goes through so many characters and their complex personas , and then relates them to modern Indian society, with injustices to the poorer class of people ,corruption, and loyalty all in the mix.